How to Help Your Overtired Baby? Younger babies, particularly those who are nursing or bottle-feeding, will usually begin to turn away from the bottle or breast, seemingly not interested or unable to latch properly due to their level of tiredness (1). Older babies and toddlers may just lose interest in everything around them that they usually find entertaining. They may not want to play with any toys or may become annoyed or unresponsive to physical play with parents, siblings, or pets. One of the most difficult symptoms of overtiredness in babies and toddlers is the rapid decline in their demeanor. This is especially evident in older babies and toddlers who are able to express themselves easier with their actions or words. Typically there will be a lot of whining (and crying in babies of all ages) accompanied by defiance. Some children will refuse to listen or follow directions, and some may even become destructive (throwing toys and hitting things). Toddlers are especially known for their poor attitudes at bedtime when they are overtired, often lashing out angrily at parents, siblings, or friends (2). Oftentimes, crying associated with overtiredness is not easy to remedy. The fact that your child is overtired means that it is practically inconsolable. Nothing will calm down or satisfy it except sleep, which will be the reason of this behavior change at this point. The more tired your baby gets, the more it wants to be comforted, especially if it is going through a phase of separation anxiety or has sleep associations (something your baby relies on to help it sleep – pacifier, rocking, etc.). Your baby does not want to be left alone, and will cling to you, holding on when you try to put it down or crying when you try to leave. Separation anxiety is completely normal for babies to go through. There are typically a few phases within the first two years of life – starting around 6-7 months and peaking between 10-18 months (3). Overtiredness can make everything seem like a bigger deal to your baby, so it is likely to fight more when it is bedtime. We have all been there – when we try to pull an all-nighter on a project or we are just having a sleepover with some friends, and just as we are getting tired, we get a burst of energy. Oftentimes we call it our “second wind.” It is just the same for babies. Little ones who are overtired can often wind up before they wind down. Their bodies go into overdrive, pumping them full of adrenaline. To the untrained eye, it can seem like the child is not tired when it is actually the opposite. They become punchy and slap-happy, almost giddy to the point of hysterics. It often looks very different from true energy in a well-rested child. There is a common misconception that the more tired a baby is before its nap or bedtime, the better it will sleep. This could not be further from the truth. 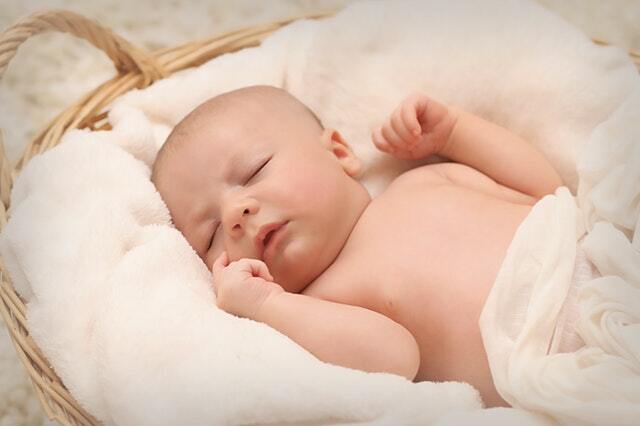 The fact is that most babies sleep worse when they are overtired. Being tired puts a lot of stress on the body. It can be difficult for the brain to shut down and succumb to the quiet calm that sleep brings. Overtired babies are overly emotional, which may cause them to stay awake and cry when they rouse between sleep cycles (4, 5). One thing that always cued me in to my son’s state of exhaustion was his coordination. When he was overly tired, he would become very clumsy, either falling over or just running into things as he “drunkenly” walked around and tried to play. Watch for your baby’s sleepy cues. Yawns, eye rubs, and glazed eyes are easy cues to spot if you are watching for them. Noticing early signs of losing interest in toys or the first subtle whines can help prevent further breakdowns and bedtime battles (6). Creating a schedule, with a set bedtime and routine, can also help you avoid the fight. If he know what is coming, he will likely be more responsive to the idea of sleep. For my toddler, if he hears me say it is time to brush his teeth (around 8 p.m. every night), he knows bedtime is coming. When he finishes, he will automatically pick a book and stuffed animal, and run back to her bed ready for a clean diaper and pajamas. After we read and give our hugs and kisses, he usually falls asleep within minutes. If your child does get to the point of being overtired, you will need to be patient and calm as you try to console it and get it to sleep. For newborns and infants, physical touch is going to be the most helpful. Hold it close (skin-to-skin if possible), rocking or swaying it gently, or you can try a swaddle. Make sure the room is dark and quiet, with only your voice at a whisper or white noise playing. For an older baby or toddler, it is going to be a little more difficult. Yes, it can understand more of what you are saying and what is expected, but it is also prone to fight it willingly. Start by removing all stimulation, taking it to a quiet room with no toys, TV, or loud noises. Settle into bed with it and choose to engage in something soothing and non-stimulating, such as singing songs together or reading a book. If you need to, stay with it until it is drowsy or asleep to avoid upsetting it again (7). 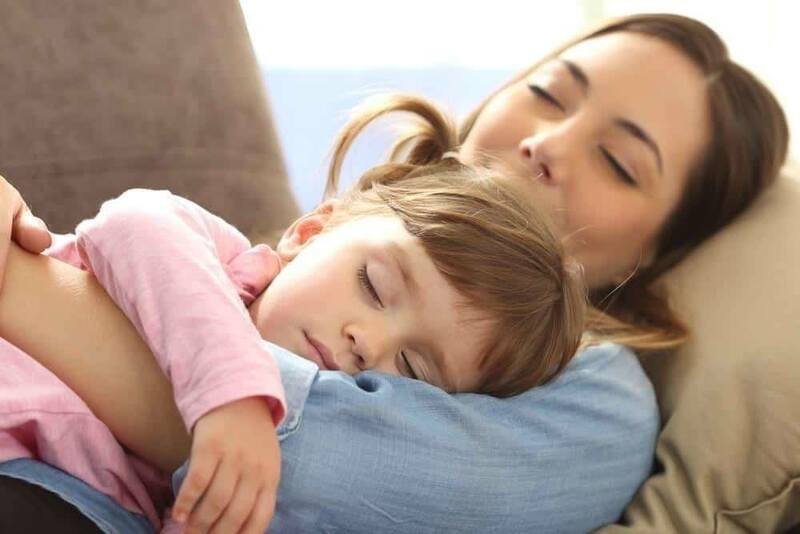 Watching for sleepy cues and learning your child’s behavior can help prevent overtiredness and potential sleep issues. Once your child reaches that point, it can be difficult to overcome. Be patient and help your child get better, timelier rest to ensure he stays happy and healthy. Be sure to share this link with other parents who may be searching for answers to their babies’ sleep problems.